It would be another thirty minutes or so before my pork adobo would be ready. There was plenty of time to start another load of laundry and make my bed upstairs. Instead, I decided to put them off and enjoy some quiet time in the kitchen. The past couple of weekends had been terribly taxing because of the flurry of barbecues and welcome dinners. A lazy, slow Saturday would be perfect, I thought. I stood by the kitchen window with a fresh cup of coffee and gazed intently at the squirrels frolicking outside. I watched them scurry up and down the pine tree in our front yard, which I found immensely entertaining. I had never seen squirrels before. Not in Manila. I lived in an old on-campus apartment that I shared with two Midwesterners. Jeremy, who grew up in Ohio, was an Engineering graduate student like myself and James was from Chicago and was a Biology major. We called ourselves the three J’s. Both of them had never met, let alone lived with a Filipino before, and had never been outside America’s heartland at all, which struck me as very odd. I wasn’t a globe-trotting traveler by any means but I had visited Jakarta and Hong Kong, and found those trips truly fascinating. 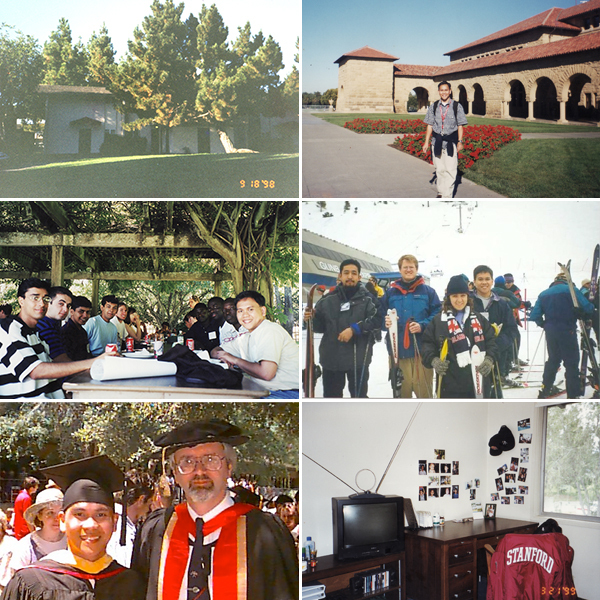 But the most fascinating trip of them all was my move to California to attend graduate school at Stanford. It was, by far, the biggest trip I had taken. The biggest change I had made in my life. That was twelve years ago. I can’t believe it has been that long. I finished school, got a job, went back to school, got another degree. I lost my father. I fell in love, rescued a corgi and moved to San Francisco. I got my green card, finally! I switched careers, not once but twice. A lot has happened in the last twelve years but I can still remember that Saturday morning in my kitchen perfectly well. I remember how much I missed home. Terribly missed home. I remember how much I worried about making friends and starting over. About living with my two American housemates. And I can still remember how much that plate of pork adobo, steamed rice, and sliced tomatoes splashed with fish sauce tasted so amazingly good. I remember how it instantly transported me back home, even for just a fleeting moment. How it reassured me that everything was going to be just fine. Food nourishes and gives comfort, whenever you need it most. It reassures. It encourages. 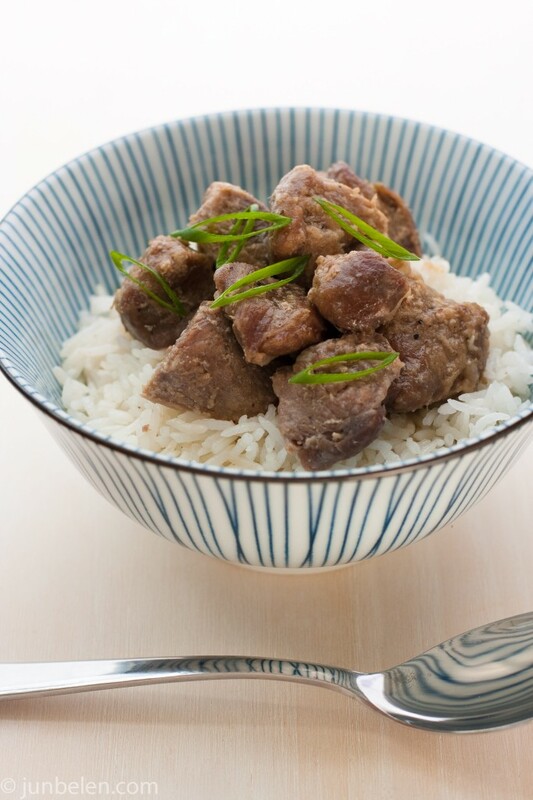 I made my mom’s pork adobo the other day, the same, exact way I made it that Saturday morning twelve years ago. I marinated the pork in vinegar, salt, pepper and plenty of garlic. I simmered it slowly. I poured it on top of a generous heap of steamed rice. I shared it with Dennis while Stanford nosed around. Everything will work out, I reminded myself. It always does. Cut the pork into 1 to 2-inch cubes. In a large bowl, combine pork, vinegar, garlic, bay leaves, sea salt and peppercorns. Cover with plastic wrap and let the pork marinate in the refrigerator overnight. Transfer pork and marinade to a medium pot and bring to a boil. Reduce heat to medium-low and simmer covered until pork is cooked and tender, about 45 minutes to an hour. Remove the cover and continue to cook until the sauce is thickened. 1. I almost always use cane vinegar when making pork adobo. Datu Puti is a reliable brand available in most Asian stores. Rice vinegar or cider vinegar works, too. 2. They say authentic Filipino adobo does not have soy sauce. Pork, chicken, or beef is marinated in vinegar, garlic, bay leaves, salt, and peppercorns. But there are so many ways of making adobo, as many as the islands of the archipelago. Some add soy sauce. Others add coconut milk. Some use cane vinegar. Others use cider vinegar. All are equally good. Jun , thanks for the sharing .Adobo is one of my Filipino’s favorite food beside Lumpia and Pancit .Have not try on the pork yet because here are not allowed .I love chicken bone adobo and the sauce .We added soy sauce and bay leaves , taste good . Good luck to you in your food projects .God bless . I’m confused. Do you boil the pork in the marinade? Or is adding some water necessary? Yes, Evan, bring the pork and the marinade to a boil and let it simmer until the pork is cooked through. You can either leave the pot covered or uncovered. Some people like adobo with plenty of sauce, some people don’t. Have you tried making adobo flakes? That’s always a big hit with my friends and husband, who is not Filipino (but calls himself a WHITE PINOY). I am not Filipino but my best friend of 29 years is, and her family and many other Filipino families I know make their adobo with vinegar AND soy sauce. 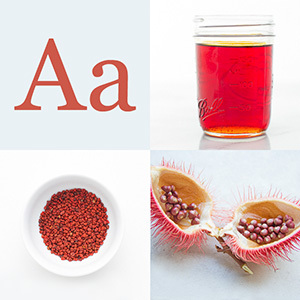 In fact the recipe that I was brought up on is equal parts, vinegar, soy and water, with sugar, pepper and a bay leaf. So I respectfully beg to differ on the statement “Authentic Filipino adobo does not have soy sauce” perhaps your family does not add soy both other families do. Thank you for your note. There are so many ways to cook adobo. Vinegar with salt and black peppercorns. Vinegar with soy sauce. Vinegar with coconut milk. Some people like using coconut vinegar. Others palm vinegar. There are so many versions across the islands. Adobo varies from town to town, from family to family. Scholars who have studied Filipino food and culture claim that authentic Filipino adobo only uses vinegar, salt and pepper. Soy sauce, they say, was an influence by the Chinese who brought this ingredient to the Philippines. But that doesn’t mean your friend’s family’s adobo is anything less than authentic, anything less than good. They are all good. It’s what the memories we associate with that plate of pork or chicken adobo that matters anyway.